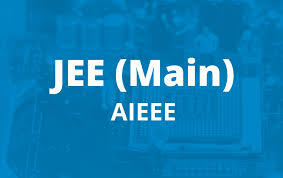 JEE Mains is almost around the corner, and many of you must be anxious about it. It is your first attempt, have faith in the hard work and long hours you have put in the preparation. Do not pay attention to people who consider that it is a difficult examination and cannot be cleared in the first attempt. They are absolutely wrong. Get over the fear and believe that you can. We assure you that with the correct guidance and resolution, you will clear the exam in the first attempt itself and score well in JEE main result. Here, we have tried to give you tips on how to score better in JEE main result in the first attempt. Take guidance from previous year aspirants or teachers to make sure your study plan is intact. Time management is key. In your first attempt, clarification of what to study and how to study specific topics takes away all your time. Make sure that is in the clear. Going through the previous year papers is essential. You do not want to be shocked and flustered in the examination hall. When you are going through the papers, get clarity on the type of questions, the importance of a topic and time needed to solve the questions. You are a potential topper. You are in the race, and thus you can reach the top. Dream it and believe it. Implementation is the key, not cramming. Learn to implement the theory in a way that solves the question, and you score better in JEE main result. Make your plan. It is not necessary that the style and plan that works for your friends or peers works for you. Design your own as per your requirements. With time, analyse and learn your weakness and faults. Work on them before JEE Mains. Make revision notes and formula sheets. Learn using mnemonics and diagrams. While you are attempting the paper, have a glance and figure out the questions that can be easily attempted, i.e. easier questions and finish them first. It will help boost the confidence, and the remaining paper will fetch you a better score. Allocate your time wisely while attempting the paper. Decide as per your comfort level with the subject and the difficulty level of the exam. We have attempted to give you the tips and tricks that are trried and tested by the toppers and experts. Every aspirant should follow these , they will surely bring you success. It will help you with handling hurdles during your preparation. The aim is to score the best possible marks in JEE main result. “Success is no accident. It is hard work, perseverance, learning, studying, sacrifice and most of all, love of what you are doing or learning to do.” so keep at it and soon you will be in your dream college. 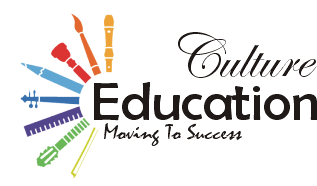 Foreign exchange Schooling – Discovering the Greatest Recommendation to Assist You Make Huge Foreign exchange Earnings!